Hong Kong's Hullett House, a design-led heritage development comprising an intimate hotel and five restaurants and bars. The Leading Hotels of the World is an exclusive collection of over 430 of the world's leading independent hotels and resorts, including grand palaces and intimate city hideaways, luxury tented enclaves and expansive self-contained resorts. Established in 1928 by several influential and forward-thinking European hoteliers, it started with 38 founding members. Hullett House which opened in 2009 and is owned and managed by Hong Kong's Aqua Group, occupies a building which dates back to 1881 as the territory's former Marine Police Headquarters and which sits strategically atop a hill just steps away from the harbour and Hong Kong's famous Star Ferry Kowloon Pier, and is a rare example of magnificent colonial architecture. At the heart of Hullett House lays the all-suite hotel that promises an intimate guest experience and old fashioned, personal service in each of its ten suites. 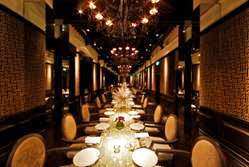 A true celebration of Hong Kong's rich "East meets West" heritage, the ten sumptuous suites have been each individually designed by owner David Yeo to embody a period of history and highlight the importance of Hong Kong's cultural past from its roots as a colonial outpost of Victorian England through to today's modern Chinese city. 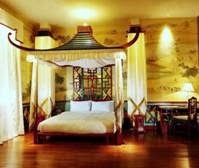 Boasting large private terraces with views over manicured lawns and the surrounding cityscape, guests can stay in a Chinese Imperial suite with hand-painted Qing dynasty murals and a bed fit for an Emperor, an elegant English pastoral suite decorated in restful greens with 26 hand-painted native songbirds, or a vibrant China pop-art suite. All suites offer all modern amenities such as free Wi-Fi, rain-head showers and surround sound system. The bespoke Hong Kong experience extends to the dining table with the House's five restaurants including St. George with its dining room reminiscent of a 19th-century gentlemen's club and fine French cuisine prepared by Michelin-star chef Philippe Orrico, the House's prized Hong Kong Cantonese restaurant Loong Toh Yuen, the Stables Grill, The Parlour and Mariners' Rest. 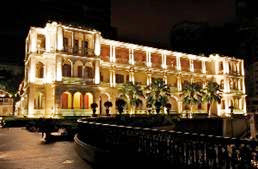 Hullett House is a celebration of Hong Kong's rich heritage and its colourful past, both architectural and cultural. The design-led heritage development consists of an intimate hotel, five restaurants and bars and a souvenir store. The property and its various elements are all housed within one of the oldest buildings located in the heart of Hong Kong dating back to 1881 and a rare example of magnificent colonial architecture. Hullett House is owned and operated by Aqua Restaurant Group.